Stephanie Lim: De Jouer latest range! So it was the launch of De Jouer latest line // everything sweet and nice! 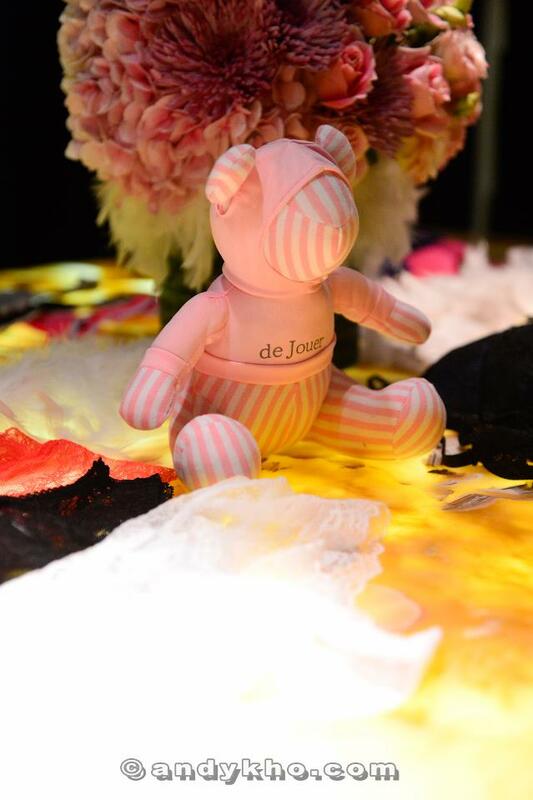 de Jouer's mascot, that cute little bear! Held at JW Marriot, it was a very private and intimate event. Lovely as it could be I would say. 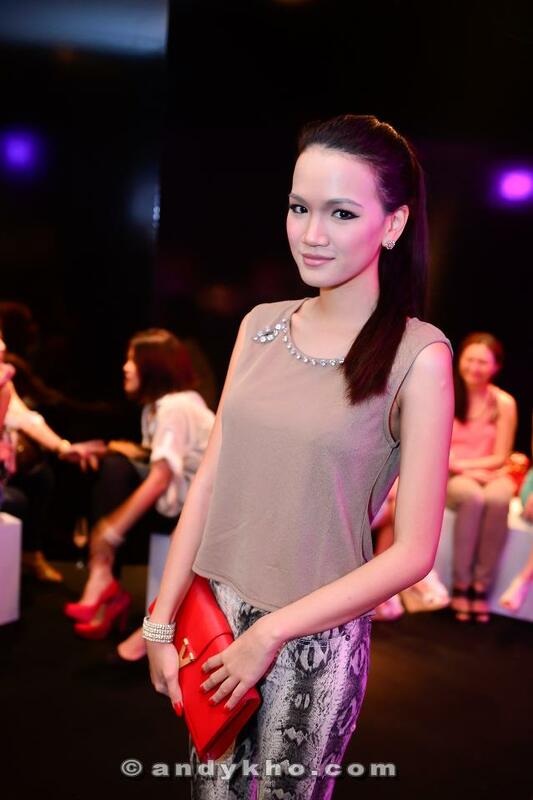 Guest were treated to a fashion show by hot models wearing the latest collection by de Jouer. I realised that de Jouer aims for comfort AND style. Being trendy with lots of laces and prints but still keeping comfort in mind. Every piece of lingerie seems to be made with very high quality materials. It is some times tough wearing lacy bras under a tee but these bras below is definitely seamless, but still keeping the fashionable side with leopard trimmings. Group picture with the MHB ladies! Then all of us checked out the collection! I was really impressed, it was what I thought it would be and so much more. The cutting, fabric and texture was oh so comfy, loved the lacy leopard ones too. I brought home a set of de Jouer's latest collection and it is indeed comfort and fashion at its best! From de Jouer's page -- "Our sexiest fans are invited to experience the day-to-day life of de Jouer, as we give an inside scoop to one of the most seductive, flirtiest, chic and stylish lingerie brands in the world." Outfit of the day by Skinny Heels. Loving all their printed pants, comfy and trendy! Check it out for more latest fashion https://www.facebook.com/pages/Skinny-Heels/210307472329961?fref=ts .